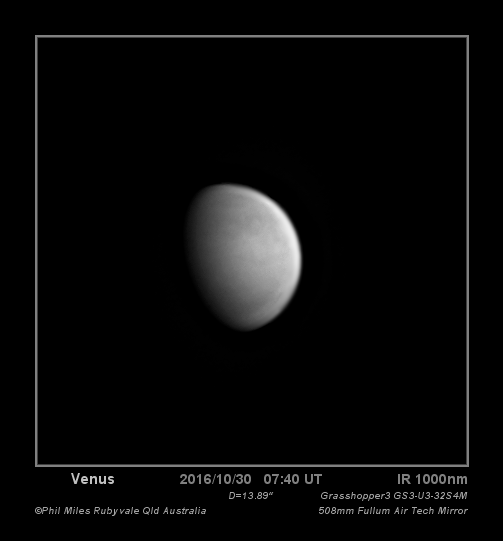 Hi all, here are my Venus images from the last 3 days captured during the late afternoon in variable seeing conditions using an Astrodon UV and a Thorlabs FELH1000 filter. Wow I love the 1000nm ones, so smooth! Awesome. Very nice! 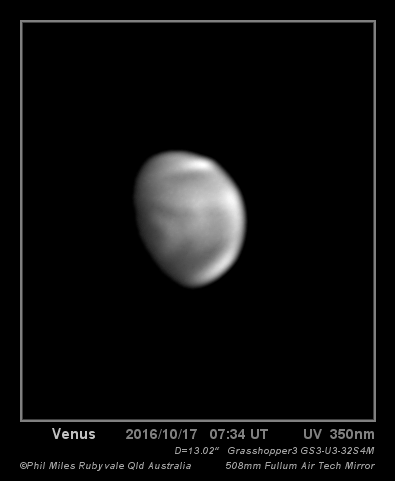 I always enjoy observing Venus even if not many features are detectable. 1000 nm are perfect with good processing. You should enter one into the monthly imaging competition. 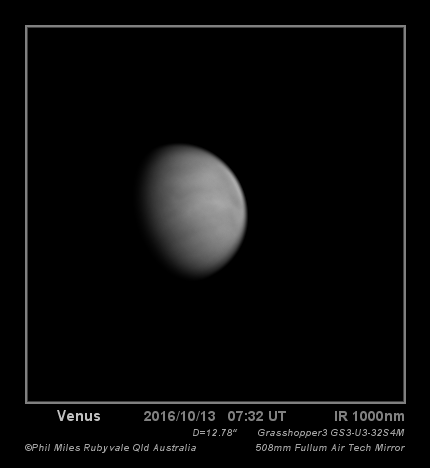 It's great to know that my mirror is used for great imaging!! Which B&W camera are you using? 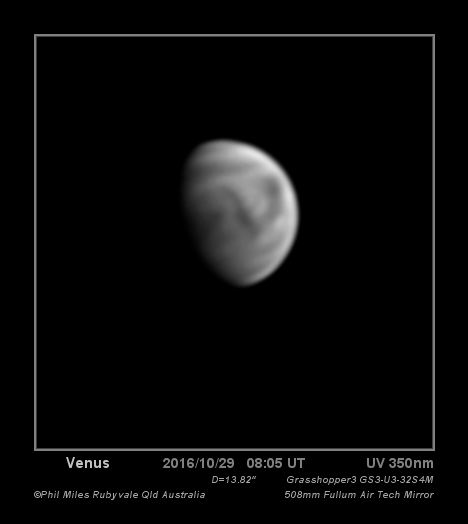 Superb images and great work! Aperture is showing here. . Yes it's capturing beautifully, thanks Normand. 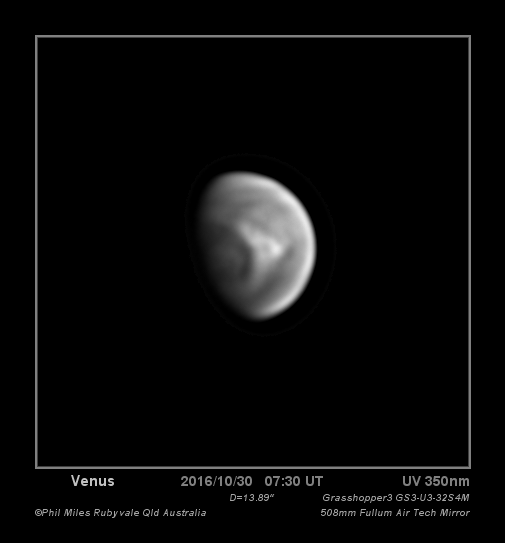 Those who have seen it in action are very impressed with the live view image quality and at just 20kg it cools so quickly I've never had any thermal issues. Absolutely gorgeous. 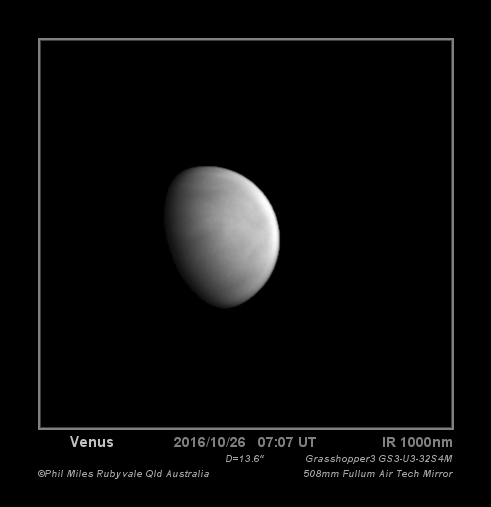 Been awhile since I have seen Venus. Never got an opportunity to image it. This is great! 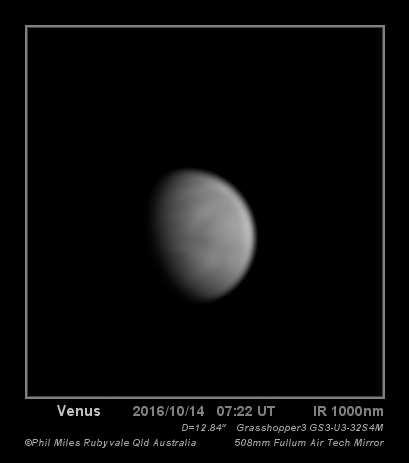 These are from the last week, again very variable conditions but some interesting upper cloud detail. 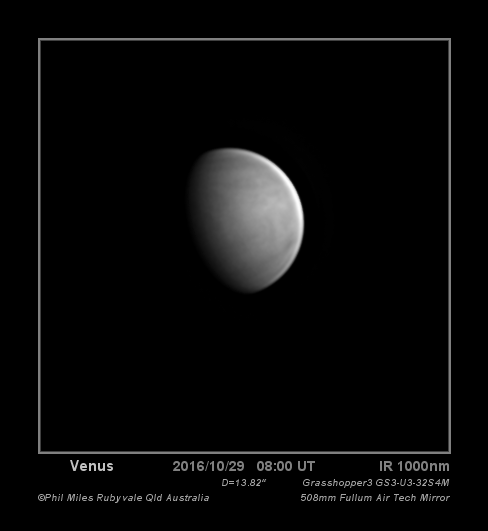 Venus showing some beautiful cloud details, I'm hoping the Japan Aerospace Exploration Agency (JAXA) will soon publish a report explaining the complex cloud structures so we will all understand them better. I just love coming back to this thread! I ordered a ASI120MM camera ...coming today. Can't wait to try this out! Good luck with your new camera, you will need good seeing as well as a shaded scope to get any detail with a UV filter. 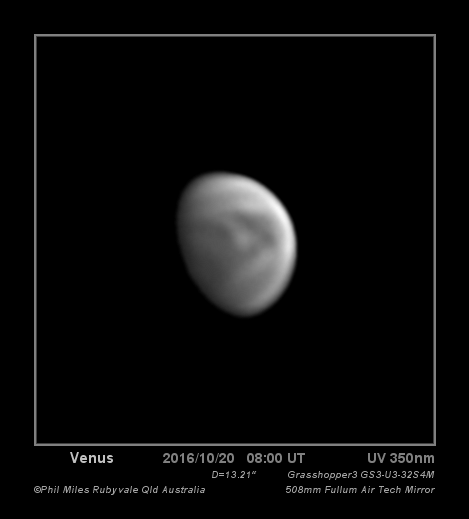 Venus has become somewhat easier now I'm using my mk2 "Belmsod"